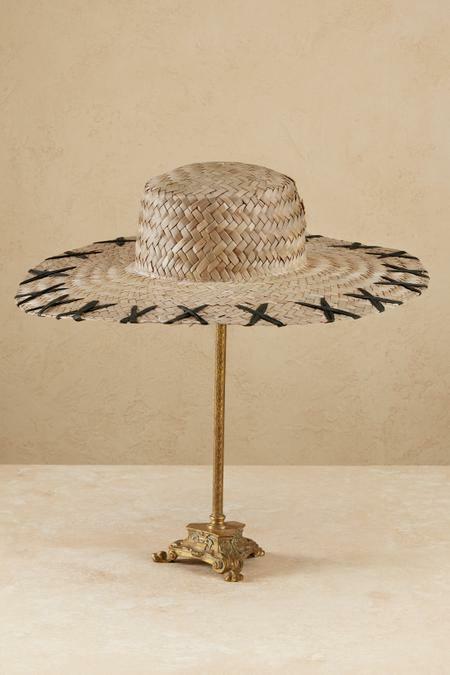 This wide-brim boater gives you an extra twist of style with contrasting black straw X's detailing the edge. Its UPF 50 rating offers you maximum sun protection, while the adjustable size allows you to personalize the fit for all-day comfort. Designed as a neutral to easily blend with your summer wardrobe, this eye-catching hat is a great basic you'll have for years to come.